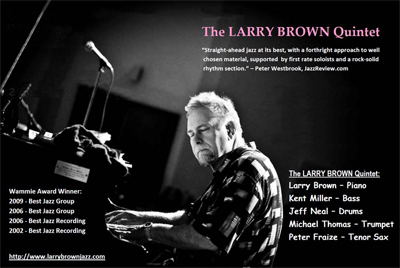 Larry Brown is a straight-ahead jazz pianist, performing in the Mid-Atlantic region. He received his Bachelors Degree in Music Theory from Towson University, where he studied with arranger/composer Hank Levy. He earned his Masters of Music degree from Catholic University in Washington, DC, where he studied Composition and Electronic Music with Professor Emeritus H. Emerson Meyers, who died in 1990. Larry released, “Hard Bop Café” which "reprises the hard-bop style of the legendary Blue Note era" in 2006, and later that year the group received the WAMA (Washington Area Music Association) award for "Best Jazz Recording for 2006" and a Wammie award for "Best Jazz Group". He launched his next album, “Peace” (Lush Life Records in 2008), with a CD release party at Blues Alley in Georgetown. Larry is noted for his "rendering of ballads”, and his unique style again brought him to the attention of the Washington Area Music Association (WAMA), which awarded his band "the Best Jazz Group for 2008". Larry Brown Quintet: "Waltz for Katie Devine"
Larry and his group can be heard performing at many venues in the Mid-Atlantic region. 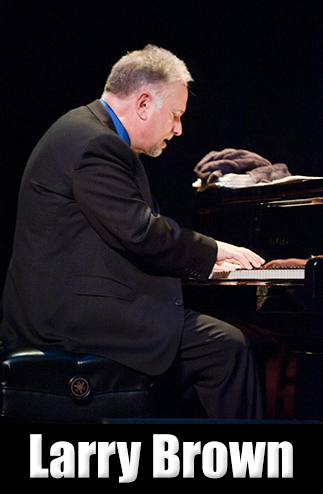 Washingtonian magazine says, “Larry Brown is a pianist whose rendering of ballads is particularly moving”. Regardless, he has assembled one of the finest straight-ahead jazz groups in the Mid-Atlantic region which was recognized by the Washington Area Music Association (WAMA) as the Best Jazz Group for 2008. In May of 2008 Larry celebrated the release of his latest CD, “Peace” (Lush Life Records) with a CD release party at Blues Alley in Georgetown. The group’s previous release, “Hard Bop Café” was recognized by WAMA as the Best Jazz Recording for 2006 with a Wammie award. The group, which reprises the hard-bop style of the legendary Blue Note era, was recognized with a Wammie for Best Jazz Group that year as well. 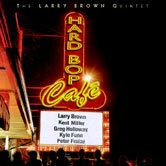 JazzReview.com describes The Larry Brown Quintet as "Straight-ahead jazz at its best, with a forthright approach to well chosen material, supported by first rate soloists and a rock-solid rhythm section." The group’s four CDs receive airplay all over the country, as well as in Brazil, Canada, Russia, and Japan. In 2002 Larry received Wammie nominations for Best Jazz Group, Best Jazz Instrumentalist, and his CD “The Long Goodbye” won the award for Best Jazz Recording. Recorded at National Public Radio, npr, the Washington Post says of this CD, “there’s no mistaking the music’s seductive allure”. The Washington Post calls pianist Larry Brown “an artist deserving of greater exposure”. In 2000 Larry appeared on the national jazz cable channel BET On Jazz show “Jazz Discovery” where he won in the instrumentalist category. He has also appeared on their show “Jazz Scene” as a featured artist. In 2000 Larry received Wammie nominations for Best Jazz Group, Best Jazz Instrumentalist, and Best Jazz Recording (“Dryden Street Sessions”), also recorded at npr. 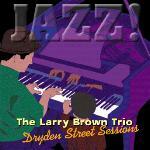 The Post says Brown “evokes the master touch on this consistently entertaining collection of jazz trio performances”. As an undergraduate at Towson University Larry studied with Stan Kenton’s favorite arranger/composer, Hank Levy. He performed with and composed for the lauded Towson University Jazz Ensemble. With a Bachelors Degree in Music Theory Larry attended graduate school at Catholic University, where he received his Master of Music degree after studying Composition and Electronic Music with the legendary Emerson Myers. Washingtonian Magazine - A post be-bop jazz pianist, Larry lists his major influences as Bill Evans, Wynton Kelly, and Miles Davis. He has performed at Blues Alley, Twins Jazz, Bohemian Caverns, the King Of France Tavern, Westminster Church, Montpelier Center, the Kennedy Center, the Meyerhoff, Baltimore's New Haven Lounge, Strathmore Mansion, Black Rock Center for the Arts, the Alexandria Jazz Festival, Baltimore-Washington Jazz Fest, An Die Musik, and the East Coast Jazz Festival. 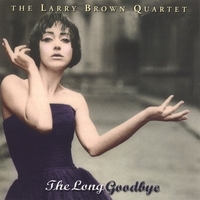 The Larry Brown Quintet features Larry Brown on piano, Kent Miller on bass, Greg Holloway on drums, Kyle Funn on trumpet, and Peter Fraize on tenor sax. Larry records exclusively on Lush Life Records and his recordings are produced by Jerry O’Sullivan. A combination of jazz standards and originals which swing hard. The influence of Bill Evans is hard to mistake. The traditional jazz trio format is reprised with the addition of vocalist Bina Malhotra. 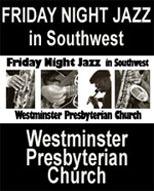 Masterfully produced at National Public Radio.In addition to the Washington DC "WAMMY" nomination for Best Jazz CD, Larry Brown has received nominations for Best Jazz Instrumentalist and the Trio for Best Jazz Group.Personnel: Larry Brown, piano; Hugh Johnson, bass; Jim Gaglione, drums; Bina Malhotra, vocals. Reviews of this album: "Larry Brown clearly falls into the artist deserving of greater exposure category". 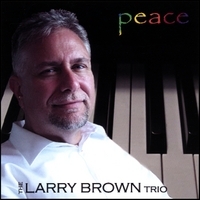 Larry "demonstrates his gift for making familiar melodies sing and swing again", and "Brown...evokes the master touch on this consistently entertaining collection of jazz trio performances" - The Washington Post. 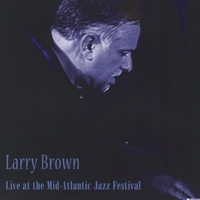 "Larry Brown is a pianist whose rendering of ballads is particularly moving"
Click here to view larger cover art image Filmed LIVE at the Mid-Atlantic Jazz Festival with four high definition cameras. The band tears it up on this performance and swings hard! This DVD looks and sounds great! JazzReview.com says this Quintet represents "straight-ahead jazz at it's best". Larry Brown Quintet - "Song For Bilbao"
Larry Brown Quintet: "Sail Away"